Christmas is coming, and these hand-dipped reindeer Oreos are super easy and super fun to make with kids. I love making seasonal food. 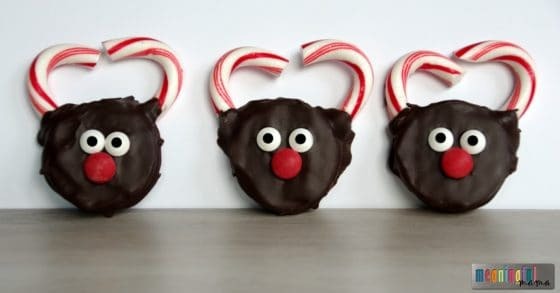 Reindeers tend to be a theme I have adopted for Christmas treats. Just check out my Reindeer Truffles, Reindeer Ice Cream Sandwiches and Nutter Butter Christmas treats. 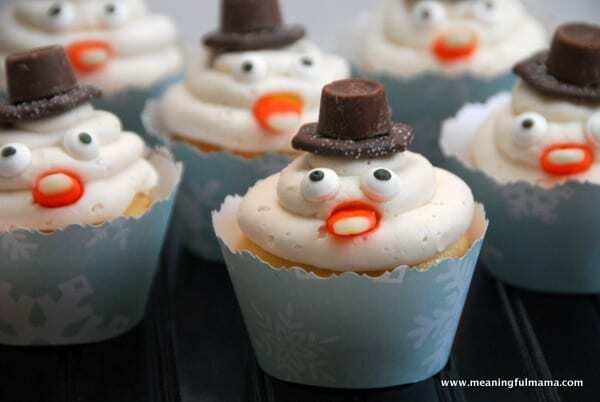 Food is just such a fun format for holiday celebration and design. Melt semi-sweet chocolate in double boiler, stirring often until chocolate is smooth . Once melted, turn off the burner but keep the bowl over the steam. If you don’t have a double boiler you can always put a glass bowl over a normal pot. Essentially, you want the steam to be melting the chocolate. Alternatively, you can melt the chocolate in the microwave at 30 second intervals on 50% power, stirring in between cycles. I still like to keep my melted chocolate over steam to keep it from becoming chunky or hardening before you want it to. 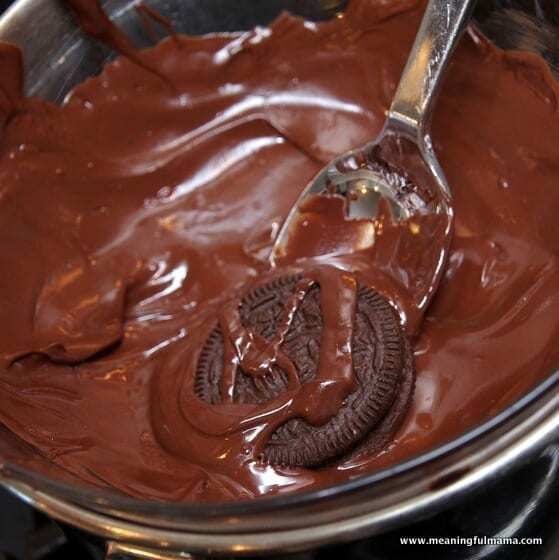 Dip Oreo in chocolate and coat with a spoon. 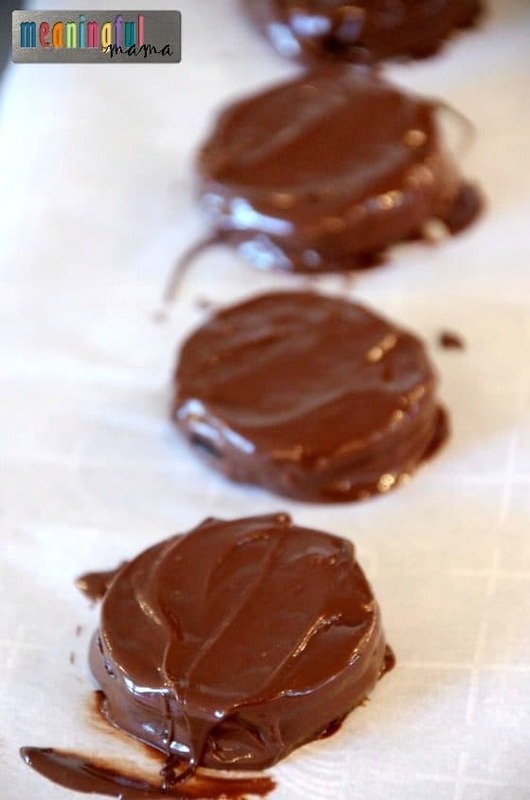 Spoon coated Oreo out of chocolate and lay on parchment paper or a silicon baking mat . You can smooth the chocolate on the top of the Oreo with a knife and wipe away excess chocolate around the base. 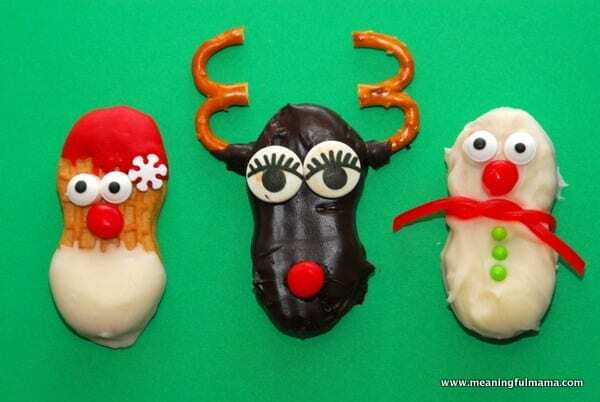 Before chocolate begins to harden, add an M&M nose and candy eyeballs. 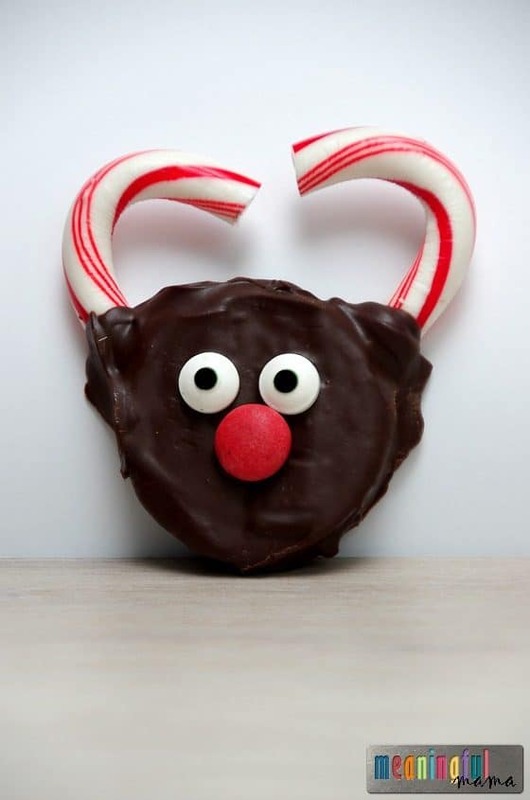 You’ll want to dip the end of your candy candy in chocolate to help reinforce the connection point, and then add the candy canes to the reindeer Oreos. These will harden at room temperature, but you can also stick them in the refrigerator. You’re done! Enjoy! 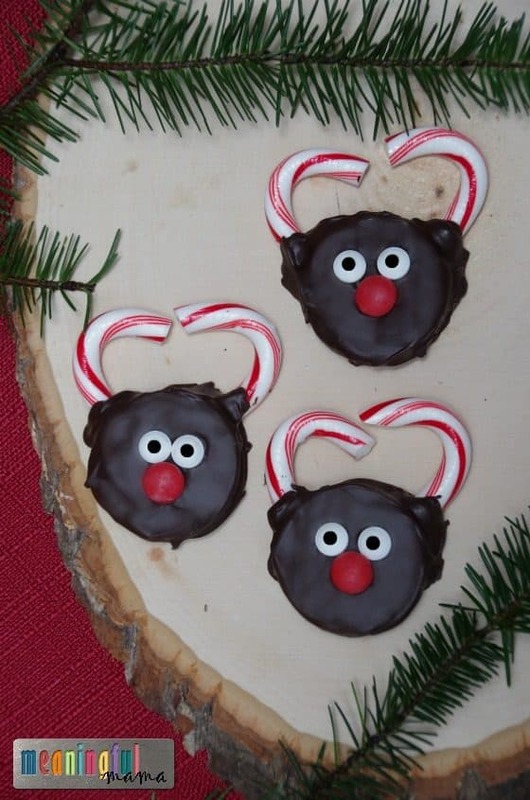 I believe your kids and guests will adore these Hand-Dipped Reindeer Oreos. Definitely get your kids involved in the process. You are creating memories that way! 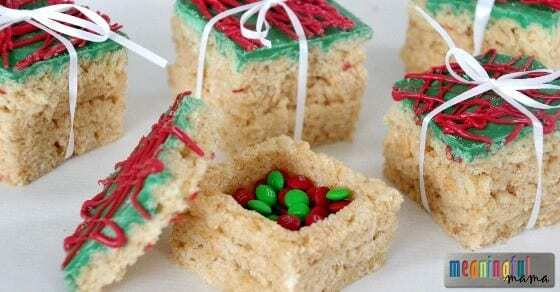 Want More Christmas Treat Ideas?